Quilting design patterns are certainly the trend to watch this season. To understand quilting - It is a technique of sewing two or more layers of fabric to create a thick padded pattern. Many international designers seem fascinated with this basic yet sophisticated style. The quilted pattern comes in different bag shapes and it makes the product look sturdy and luxurious. We, at The House of Tara intend our products to be fun, functional and comfortable to carry; so when we design for our Indian audience we have kept the weather, design durability and high functionality in our mind. Our quilted bags are lightweight, soft as we mostly work with cotton canvas, polydupion silk and high grade faux leather only. We wanted to make quilted handbags vibrant and fun; so, we have used a lot of unique graphics as digital prints and embellished with colourful danglers or tassels. We have such a huge array of handbags in different sizes and designs that are suitable for various age groups and interests. Talking about patterns & colours; our bestseller remains the Quilted Tote Bag made in printed art -silk and P.U. The bag is lavishly embellished with multiple fluorescent tassels. It has a magnetic snap button closure. As we pay attention to details we ensure cotton shoulder straps are also in soft canvas so the handbags remain easy to carry even when it is overloaded. With the golden P.U on the back of the bag, our handbags offer classy, chic look. It can be complimented with any colour & dress; casual or formal in our wardrobe. Most of our handbags & Tote bags also feature inner slip and zip pockets, attractively printed cotton lining with proper zip closure on the inside for keeping your valuable stuff like a phone, keys etc. 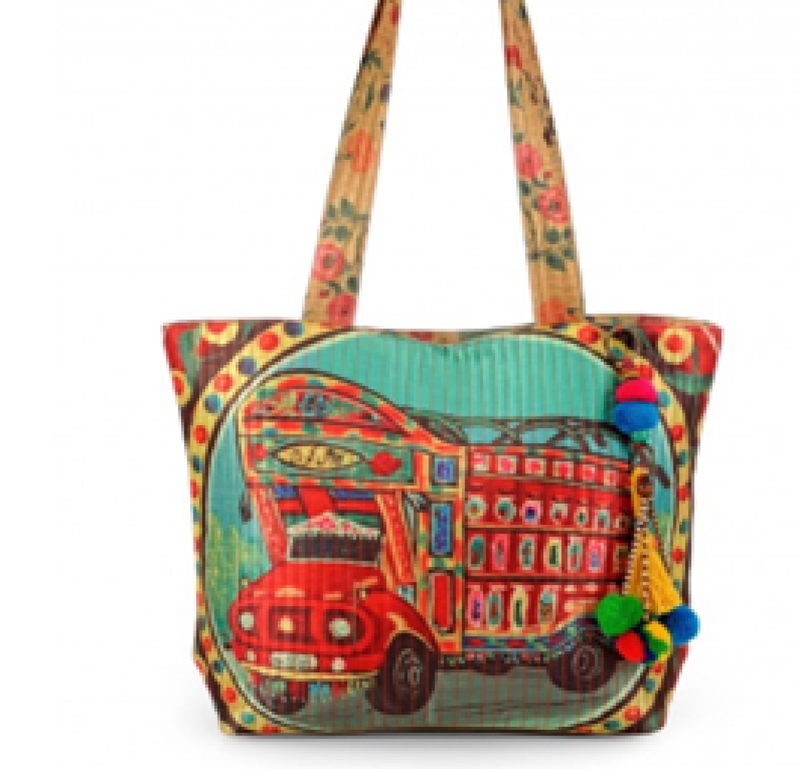 You can check the complete range of our handbags & totes on our website. We are one of the best online sites for handbags in India. Furthermore, you can avail exclusive discounts on our existing range.